As USD is empowered by the lack of threats from North Korea, it gets weakended because of the US hurricane. The support rests at 1.19390 with resistance at 1.19790 which both lines are below the weekly pivot point at 1.19970. 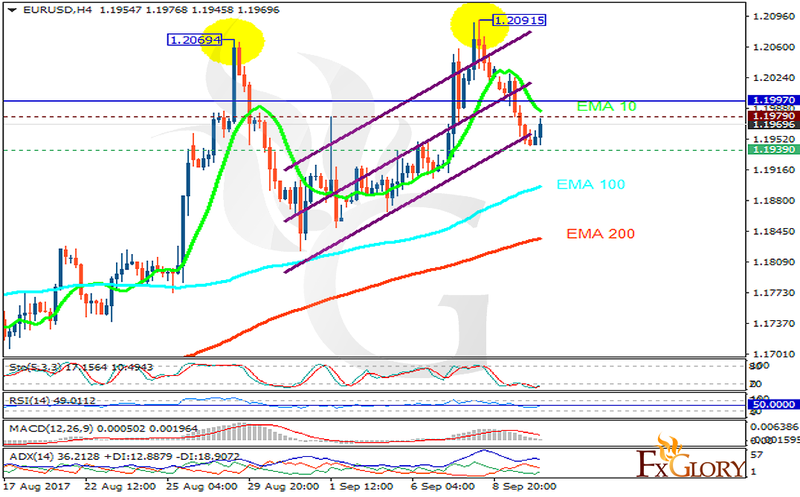 The EMA of 10 is moving with bearish bias in the ascendant channel but it is above the EMA of 100 and the EMA of 200. The RSI is rising towards the 50 level, the Stochastic is showing downward momentum and the MACD indicator is in neutral territory. The ADX is showing weak sell signals. Long positions are recommended targeting 1.20.